For the search frame 1930-2000 … there was an FDA approved prescription drug, NDA 10-876 log 732 approved 1/15/1958 with FDA labeled indication for infants and children with phenylketonuria. That credit goes to Mead Johnson and they made PKU history. Please note Kuvan (2007) is not the first FDA approved drug nor “the first medical intervention” used in the treatment of PKU. It’s called Lofenalac and it saved my life. My references come straight from the ultimate authority on food and drugs – the FDA and the FDA approved it. Robert C Wetherell, Associate Commissioner for Legislative Affairs FDA, Miriam Calhoun Consumer Safety Officer FDA, National Academy of Sciences – National Research Council Division of Medical Sciences – Panel on Drugs Used in Metabolic Disorders, Rolland M Eckels of Mead Johnson, and Congress – and I have it all in their writing. Well sure, Jennifer. I know what that is when you call it by its trademarked name. I took Lofenalac and yes, it saved my life too. Regardless, I think where we are in disagreement is a difference in how we define the two. Lofenalac is an FDA-approved formula (where you still have to eat low-protein) and Kuvan is an FDA-approved drug (that enables responders to eat foods higher in protein). Lofenalac–though as amazing as it was–does not actually convert phe into tyrosine. I mean no disrespect to the appreciation you feel towards Mead Johnson, but I hope you can respect my perspective as well. I certainly do, and the PKU community has been fortunate to benefit from Kuvan, deservingly so. I do commend Biomarin on the introduction of a novel mechanism of action in tablet form that I hear has been life changing for some BH4 responder patients. However, there is no prescription drug to date that converts phe to tyrosine and Kuvan is an adjunct medication to be used with the phe-restricted diet as per the FDA labeled indication. It is a fact that Lofenalac was originally approved as a prescription drug by the FDA and remained so until the1972 reclassification change that has forever blurred the boundaries of food and drug and has tested the statutory definition of medical food. I was on Lofenalac as a child also. I believe the reason it was reclassified was in order to continue to improve it for palatablity, health, and lifestyle compatibility which is much more difficult and costly to do with a drug, rather than a metabolic supplement. It’s a double-edged sword of course. Due to the lack of education about metabolic disorders, obtaining insurance coverage for a “supplement” or “medical beverage” is often much more difficult than a drug. However, I for one am so grateful that I do not have to drink Lofenalac today, and have many choices for the metabolic supplement that works best for my PKU, my body and my lifestyle. Lofenalac saved my childhood, but PhenylAde has kept me a functioning as an adult with PKU. Hi Jen, Thank you for commenting! I have to agree with your sentiment about how wonderful it is to now have several formula options. 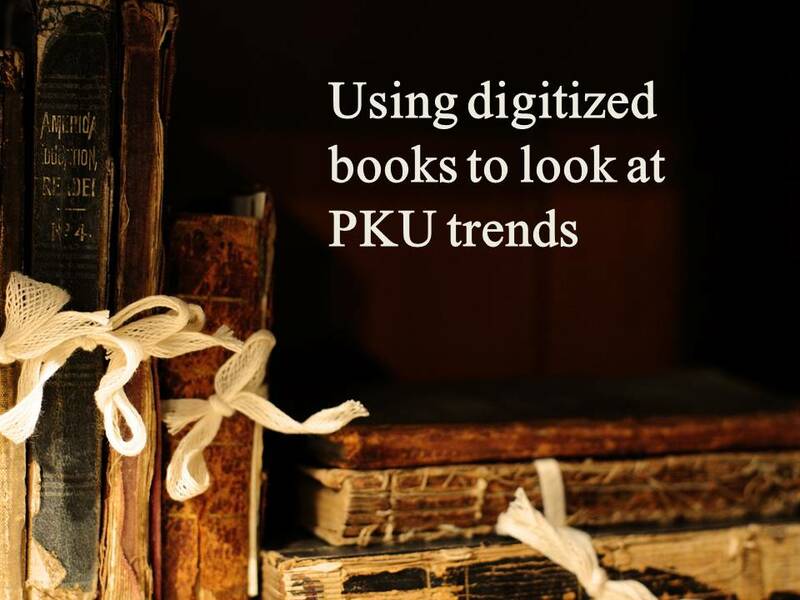 When I started becoming re-engaged with PKU about two years ago, I was blown away by how much better PKU products had become over the past 18 years. Much improved…and there are so many people and organizations to thank for it! Happy PKU Awareness Month to you as well!